I should be kicking off October with a scary book, but what's scarier than being accused of the murder of your best friend while vacationing abroad? I zoomed through Dangerous Girls in a nail-biting day and spent the evening reading about Natalee Holloway and Amanda Knox, as the plot held similarities to both cases. Anna and her clique of popular friends travel to Aruba for spring break, but when her best friend Elise is brutally murdered, Anna and her boyfriend Tate are held as the prime suspects. The novel takes us through the girls' entire friendship, as well as the trial and the media storm surrounding it. Author Abigail Haas has the reader guessing about what really happened that night until the absolute end of the book, making the reader want to rush ahead to the conclusion, and then sitting stunned afterwards. Similar to her recently published Dangerous Boys, the ending leaves the reader wanting to start again, knowing all the secrets and seeing the subtle clues that Haas left along the way. This is a mature book: the situations are very adult and would upset many parents, but the writing is also mature and doesn't dumb itself down for the reader. 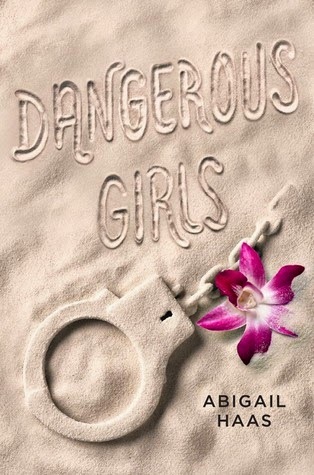 Older high school students and up will be hooked by Dangerous Girls. I highly recommend it to people who enjoy books like Liar by Justine Larbalestier or anyone who followed along with the Knox and Holloway cases.